Too many people are scared to take on, or won’t even look at, selling on Amazon as a new way to do business. It is pretty intimidating if you consider its meteoric rise from bookstore to worldwide sales giant. Before I go any further, let’s start here: Amazon is not going to steal your items. Amazon buys certain items from me, and their employees pick those items up at the factory in China. The items go from “mine” to “Amazon’s” as they cross the threshold of the dock doors and into the container. If Amazon doesn’t pull the run around in that situation, they are not going to do it to you. Channel conflict (i.e. creating a channel that leads to pricing problems across all other distribution channels). Amazon is viewed as too overwhelming with the kicker that it could disrupt existing ecommerce or traditional sales channels. This is ludicrous, of course. As expansive as the Amazon ecosystem is, the decision to sell on Amazon doesn’t have to be an all or nothing choice. This same logic would have prevented Columbus from setting sail because he wouldn’t have time to map the entire world. True, Amazon can be a lot of work, but do it right and it’s clear sailing. It’s also worth mentioning that if your brand is of any decent size, the reality is that someone will be selling it on Amazon anyway. The question for most companies is not whether they will have an Amazon presence, but rather what sort of presence will they have to protect their brand. So, let’s dive into your options. No one says you have to offer all your products on Amazon. Familiarize yourself with Amazon by starting with just a few products. For anyone still not sold on diversifying to Amazon, remember this: The reality is that your competitors are already selling on Amazon. How do you make sure your brand is part of the Amazon customer consideration set? If you’re not selling on the Marketplace, your competitors are eating up Amazon customer demand – more than 200MM active customers and over $100B of sales annually. They sell custom folding chairs and tables, and launched on Amazon with one product before the 2016 holiday — a bundled chair and table package that combined their website best sellers. Over time, they were able to restock at appropriate levels factoring in the added volume from Amazon and are now having great success on both Amazon and their webstore across a variety of SKUs. This is the benefit of going slow – you can pull a listing down, readjust back office and manufacturing needs and then get back up, running and making money FAST. They can be the identical items sold on your site, product bundles or variations available only on Amazon. This allows you to gain access to Amazon’s massive customer base and try different prices or packages without affecting your standard products and established brand. “Amazon Only” brands give you new freedoms to cater to specific markets, and are an excellent way to test for new products. Let’s take a closer look at that Folding Chairs and Tables example – notice how all items they are selling on Amazon are sets, or bundled? Instead, on Amazon, they sell bundled chair and table sets – while on their web store, they sell individual items (often at bulk for B2B) with financing options. Two strategies; two strong revenue channels. Expedited shipping, feedback, ratings, optimization and sponsored search are often new frontiers for your business. Outsourcing the activities that are highly unlikely to be your strength is not only affordable but also quite effective. In the same way, Amazon lets you outsource the promotion and customer acquisition of your products, and services like Freeeup, Upwork and Lancer let you outsource the activities that are unique to the Amazon marketplace. Amazon is a shopping site the same way a Swiss Army Knife is a knife. If you utilize it strictly at its basic level, you are missing 95% of its value. Think big when it comes to selling on Amazon and your desired success. You can make a bunch of money on Amazon with a lot less work by setting up your selling method correctly. 1. Fulfilled by Merchant Listing. Fulfilled by Merchant (FBM) is the basic Amazon listing. You create or jump on an existing listing for a product on Amazon, manage all customer service and take care of all the picking, packing, shipping and returns. Use the Fulfilled by Merchant option as little as possible as your primary listing, as they carry the least weight in Amazon’s search algorithm. FBM listings are most often appropriate for really low-velocity sellers or super high-cost items you simply can’t afford to inventory. It is alright to keep a merchant-fulfilled listing active as a backup for your inventory at Amazon’s fulfillment centers in case of stock outs, but that should be it. If any of your best products are fulfilled by merchant, especially in competitive categories, you are doing it wrong. If you want to see examples of these listings, simply submit a search of any product to Amazon and then dig to page 20 and beyond. Do you think it is just coincidence that you don’t see any items available as Prime this deep in the results? Below is the top-selling outdoor ice maker on Amazon. This is the appropriate use of fulfilled by merchant (FBM). First, for it to be the best seller in a category and only have five reviews, that indicates that it’s not a major mover. This, and factor number two: its price tag. It may not make sense to stock a bunch of these and warehouse them at Amazon. Why not drop ship them from the manufacturer once you get the sale and cash in simply by putting up a listing on Amazon? That’s likely what is being done. Lastly, at 129 lbs, having it sent to you, then to Amazon, then to the customer may make any other method cost prohibitive. FBA is the more evolved version of the typical Amazon listing. You are still the seller, but you send inventory to Amazon’s fulfillment centers. Now, when an item sells, Amazon automatically picks, packs and ships your items to the buyers (for a fee). Plus, they handle all basic customer service tasks such as tracking and returns. Using this method makes your items Prime eligible, and Prime users are Amazon’s most valuable customers as they buy more regularly and spend more. Having your items in FBA is also attractive to Amazon’s search algorithm, helping your product be seen more often by more people. Use this method when you want to simplify the process of selling online and also maintain full control over the product listing information and price. This is particularly important for sellers needing to maintain MAP pricing because you set the price. The seller Blue Monster has decided to purchase inventory and pay to send it into Amazon. This must be with the hope that buyers who trust the brand enough to choose to shop on Amazon will choose to pay more to avoid buying from Amazon. These items will sit until their expiration day. If a buyer were to click “Add to Cart” for the item below, they would buy from “Professional Grade Products” for $499. But if you look at the second image below, this same item can be purchased for $399 (plus a little shipping) from a different seller. So, why does Amazon promote the $499 offer and make it the default choice for customers? Because it is using Fulfillment by Amazon. Amazon’s algorithm gives massive positive clout to items fulfilled by Amazon. In this case, it thinks the Prime offer is a better overall value to the customer, even though it costs $85 more. If there were no Prime offer, “Northern Tool” would almost certainly win the Buy Box every time. However, by using Fulfillment by Amazon, another seller has been able to increase both their sales volume and margin. You are not selling on Amazon anymore; you are selling to Amazon. Amazon Retail is voraciously acquiring access to more products, and they want to buy products from you and sell those items themselves, giving them the power to choose the end price. Amazon will “steal” your product. Selling to Amazon lowers your margin. Amazon is a difficult partner. A fairy comes at night to collect your lost teeth. Fact: Amazon owns its platform. Why fight it when they want you to join the team? Anybody can sign up for Vendor Express, whereas Vendor Central is invite-only. The main difference is you get a human buyer with Vendor Central. If you want to leverage the growing customer base of Amazon without having an Amazon segment of your business, this is the way to go. They act, for the most part, like any stocking customer. Selling to Amazon can minimize or eliminate the need to forecast, stock or handle customer service for your products. 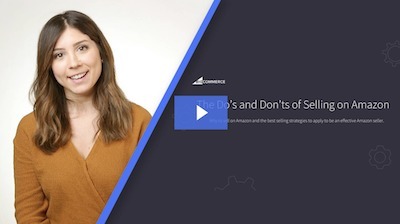 Common complaints from my clients about selling to Amazon come down to the setup. If you do this right, you should not have any issues. First, some people simply get overwhelmed by the large amount of information they need to provide to Amazon to set up a product. However, it is not much different than what you would include in an online store, so while it may take a lot of time for those with large catalogs, it is not hard. Second, some complain that Amazon order quantities are too small or its purchase price too low. This just makes me shake my head. During the setup, you select or approve the price and the case pack of minimum order quantities. If you don’t like them, that’s on you. Plus, they can be edited, so just fix it. Typically, to increase sales volumes, a seller would have to lower their price – and thus their margins – to win more sales. However, this seller can maximize margin and still have their items sell at the lowest price, ensuring sales velocity. In the first example, the seller of this item is selling these furnace filters to Amazon for $31.44*, with Amazon paying all shipping costs, eating any returns and spending money promoting this listing. So, yes, Amazon is selling the item for about 20% below cost, plus covering all those related fees. For many products, Amazon is fine with losing money on every sale to gain traction on the internet at large, gain-scale logistics and help drive long-term traffic to these products. Meanwhile, you can cash in by having your cake (margin) and eating it too (sales velocity). Think Vendor Central, but where you still pick, pack and ship the item once Amazon sells it. It is not available to everybody, even those with Vendor Central accounts. However, since this book likely has the longevity of the Dead Sea Scrolls, I figured I should mention it for when your great grandchildren read this. If an item is expensive and sells only once or twice per year, or is physically too large to ship twice, this can be a useful method. You gain the Prime designation, have to build/order the items only once Amazon has already sold it and you gain the SEO boost Amazon gives to the products it sells directly. The only way to mess this up is to tell Amazon you can drop ship a product you don’t have or can’t build in time. If you don’t have it, tell them. Can you blame Amazon for not wanting to stock industrial freezer cases? However, they do sell them (you can even see that this has two happy reviews). This item is likely sold by Amazon through Dropship Central. Amazon gets the sale, allows a few weeks for the item to get built and then the item is shipped one time directly to the customer (note that the item is still considered Prime despite the delivery time of up to 5 weeks). This means the manufacturer can focus on building large freezers and leave all the Amazon shenanigans to Amazon themselves. See these examples of sellers mixing methods to create savory sales. Corentium makes this product and sells directly on Amazon through FBM. However, they also sell directly to Amazon. Although most sales will likely go to Amazon, by creating what the algorithm sees as a competitive listing, Corentium is not only keeping Amazon’s markup in check, but also has a backup listing in case Amazon stocks out. Get all of the optimization gains by selling directly to Amazon and still not be dependent on Amazon to get the stock or price the product appropriately. Selling using FBA can be intimidating for sellers for many reasons, partly because they feel that they no longer have direct access to their inventory. Sellers want to benefit from the ease and SEO boost that comes with using FBA, but still need inventory to fulfill orders from other sources. What they often overlook is that if you sell via FBA, you still own the inventory at Amazon’s fulfillment centers. In fact, you can have Amazon pick, pack and ship orders for sales that were made outside of Amazon. For example, this seller keeps all their inventory at Amazon’s fulfillment centers and still sells on eBay. All order information from eBay sales are submitted to Amazon and then Amazon picks, packs and ships these paddles to the eBay customers. In this case, using FBA not only helps sales on Amazon but makes selling on eBay less of a hassle. eBay is shutting down a lot of these Amazon-fulfilled orders going to eBay customers, as the shipper may appear as “Amazon Fulfillment” which triggers eBay turning off sellers’ elite status within eBay. We’ll update this content as those changes are made or services shut down. Want to try to gain the combined benefits of FBM (constant stock), FBA (Prime with price control) and selling to Amazon (maximum exposure and customer trust)? It is more to manage, but this seller uses all three methods to try to maximize sales regardless of the administrative hassle. As the brand owner, Hayabusa is selling Mixed Martial Art Gloves themselves through an FBM listing. They are also selling to a reseller using FBA and directly to Amazon. Managing their all of these methods can be quite the task, but it is possible and can be effective. This strategy doesn’t work for all brands. The purpose of this chapter is to outline as many Amazon options as possible to prove that you have multiple ways you can use the marketplace. The example above proves that it can work, but it doesn’t always. Overall, think about how you want the Amazon channel to fit within your existing business and choose a method that works for you. It is easiest to start with one method and then incorporate others later. Consider which administrative activities you can manage effectively and easily and which you would like to avoid. There is not one right answer, but keep in mind that most items that go from FBM to FBA see a 10%-20% increase in sales and a boost of 40%-50% once they are sold directly to Amazon.